Among external factors that affect housing markets, two are by far the most important and both are more or less directly controlled by the federal government. The first is policy regulation that defines the rules and parameters under which mortgage loans can be originated. The second is the interest rates set by the Bank of Canada. As it stands now, both of these factors are poised to produce a dampening effect on the demand for housing. First, the country’s bank regulator, the Office of the Superintendent of Financial Institutions (OSFI), has recently announced plans to extend the mortgage stress-testing to all uninsured loans (those with a down payment of more than 20%). Non-insured loans presently account for 45% of all outstanding mortgages, according to the BoC’s June 2017 Financial System Review. The proposed stress-testing would consist of qualifying new loans based on the contract mortgage rate plus two percentage points. 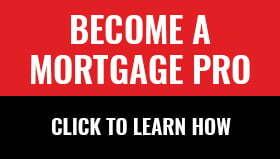 If and when this happens, the demand for new mortgage loans will undoubtedly be affected. Experts estimate that the size of the impact could range from a 10-20% reduction in buyers’ purchasing power. Second, the Bank of Canada has recently raised its core bank rate twice (in July and September) by a quarter percentage point each time. This came on the coattails of stronger-than-expected GDP growth (up by an annualized 4.5% in the April to June period). Given the Bank’s traditional caution about potential over-heating and inflation in the Canadian economy, most experts agree that further increases in rates are likely in the fall. How will these two potential demand-dampening factors affect the Toronto housing market, one of which has already been under stress in the last few months? Let’s look at the latest data released by the Toronto Real Estate Board (TREB). TREB states that home sales in August this year have declined on a year-over-year basis for the fifth month in a row (down by 34.8% in August 2017 compared to August 2016). However, new home listings have also declined in August for the fourth straight month to their lowest level for August since 2010. Thus, the sales-to-new-listings ratio, which declined from a record high 81.5% in February this year to 41.8%in July, has rebounded to a 55.2% level in August. As the sales-to-new-listings ratio is one of the best indicators of the state of a housing market, its rebound suggests that the softness of the GTA housing market over the last five months might have reached a plateau at the end of this summer. But can this be confirmed by the indicator that everyone cares about the most: home prices? 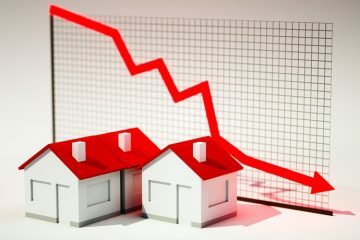 The average home price in the GTA peaked in April this year at above $900,000 and then it went on a steady decline in the following four months to reach $732,292 in August. The rates of month-to-month declines have been moderating and the decline in August was relatively low at -1.9%. It is important to note that prices reached their peak in April while the sales-to-new listings ratio peaked two months earlier, in February. Subsequent declines in both variables followed a similar pattern with a one- to two-month lag. Thus, it seems reasonable to expect that this same lag duration is likely to continue in the fall period. This expectation is also supported by elementary economic intuition. Prices are always a result of the interplay of demand and supply and housing prices are no exception. If the ratio of demand and supply for homes, i.e. sales-to-new-listings ratio, starts to edge up, as it did in August, prices will sooner or later follow. On a year-over-year basis, GTA prices will likely post declines in the coming months (as last year’s levels were extraordinarily high). But the month-to-month change in prices can be reasonably expected to follow the trend in the sales-to-new-listings ratio. Except, of course, if some external factors interfere with this trend, particularly the two aforementioned factors: possible further tightening of mortgage loan rules by OSFI and potential further increases in interest rates by the Bank of Canada. That is why these two factors become a true wild card in any forecast. Novak Jankovic is an economist and consultant with over 20 years of experience in the housing markets and in mortgage finance. “On a year-over-year basis, GTA prices will undoubtedly continue to post declines in the coming months (as last year’s levels were extraordinarily high). Good article Mr. Jankovic, except that year over year prices on a monthly basis have yet to print negative for any month this year in the GTA. According to the latest TREB data, the average price in August 2017 was 3% higher than last year, July was 5% higher, June was 6.3% higher and May was higher than the same month last year by 14.9%. Incidentally, a more accurate indicator – the HPI index, was in fact up 14.3% for August. In addition, the utilization of an arithmetic mean as an reliable measure of housing prices has always been problematic. As I’m sure you are aware, sales composition can skew the data significantly. Thus the implementation of the HPI. Regards. Thanks Appraiser. The expression “continued to” in the original text was indeed missed at the editing stage and I asked CMT to remove it.